This store is situated in the heart of the city center along one of the main shopping areas of Aruba famously know as the Main Street. This is our largest location and flagship store and it is here where you may also find our offices, located on the upstairs. Maggy’s Mainstreet carries a variety of brands including: Clarins, Dior, Elizabeth Arden, Guerlain, Lancome, Sisley, Yves St.Laurent, Armani, Carolina Herrera and Givenchy, to name a few. You can get all these brands Duty Free and Tax Free. It also offers the Cabines de Beauté where clients can try our skin care lines. Here, the client can book a cabine session with one of our Beauty Advisors, who will help the client determine the best skin care products to fit their needs. Our flagship store is known for its great launches and make-up events so please make sure you visit the calendar of events to view event dates. Located at the Paseo Herencia Mall. 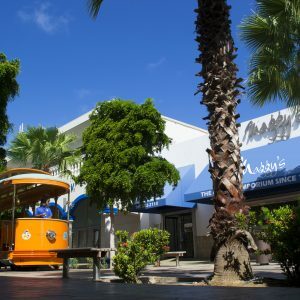 Maggy’s Paseo Herencia opened its doors in 2007 and is situated in the Palm Beach hotel area opposite to the Holiday Inn Resort Aruba. This beautiful store carries a variety of Duty Free Tax Free perfumes, cosmetics and treatment lines including: Chanel, Clarins, Dior, Guerlain, Lancome, Shiseido La Prairie, Viktor & Rolf, Hermes, Gucci, and much more. It also houses a full service salon on the upstairs. Our staff at Maggy's Paseo Herencia is always ready to offer personalized service and branded products at a great Duty Free and Tax Free value. 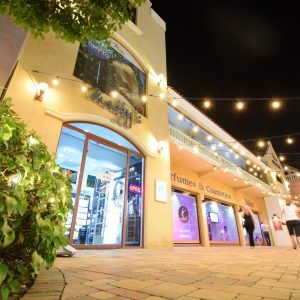 In addition, Maggy’s Paseo Herencia hosts a variety of great make-up events and perfume launches, so don’t forget to visit our calendar of events.